Our Lafayette, LA used car dealership not only provides quality pre-owned selections to explore, but we appraise vehicles as well! If you’re looking to value your current car so that you can explore your upgrade options, complete the secure appraisal form that can be found below. While our team works on completing a fair estimate for your well-maintained ride, we encourage you to explore our certified pre-owned inventory or recommend completing an online credit application if you’re interested in auto loan options. 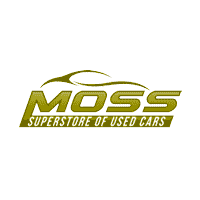 Moss Superstore is eager to assist with your appraisal needs so don’t hesitate to submit a request today!